How much louder can the “ban cash” calls get? Recall it was just last year when we catalogued the growing cacophony of crazies for whom banning physical currency is the only way to ensure that depositors can’t simply reassert their economic autonomy under a low or zero rate regime. Put simply, if interest rates get too low, depositors will simply take their money out the bank and put it in the mattress or the safe where, to quote WSJ from last week, “interest rates are always low no matter what central bankers do. 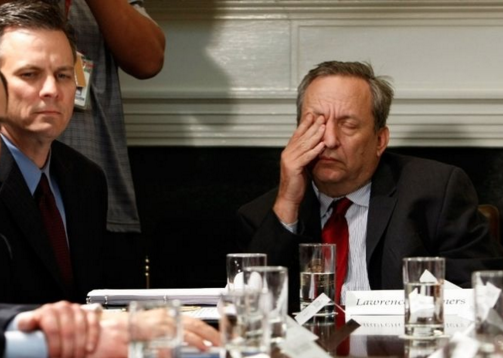 Most recently, Larry Summers called for the abolition of the $100 bill in the US and in Europe the €500 note is to go the way of the dinosaurs. 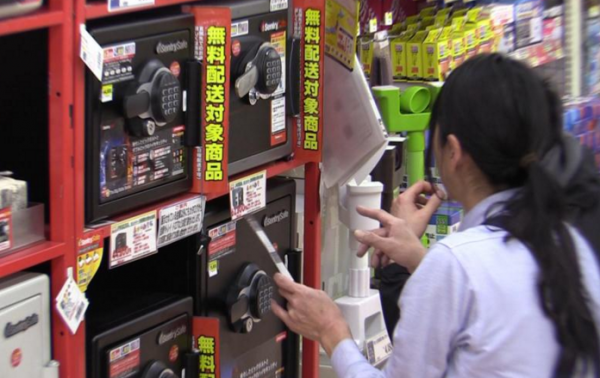 Perhaps the most telling sign that citizens are starting to panic is that in Japan, they're selling out of safes. Literally. “It shows a vague sense of unease,” one Japanese lawmaker who brought up the soaring safe sales in parliament on Monday remarked. Now, the excuse given for banning big bills is that it combats crime. And maybe it does. But in the end the rationale is simple: if there are no more physical banknotes, people have no economic autonomy. Let’s say consumer spending is stagnating. No problem, take rates to -20%. We bet they’ll start spending then - either that or see their deposits haircut by 20%. In short, no cash means no effective lower bound and with no lower bound, the economy can be completely centrally planned - for all intents and purposes. Consumers not spending? No problem. Just tax their excess account balance. Economy overheating? Again, no problem. Raise the interest paid on account holdings to encourage people to stop spending. So with Citi, Harvard, Denmark and Peter Bofinger, member of the German Council Of Economic Experts, all onboard, we’re surprised to hear that Sweden (already one of the leaders in the cashless society movement) is looking to phase out a series of new bank notes it just introduced last year and moved ever closer to the cashless utopia. “Last year Sweden introduced a series of new banknotes replacing its old kronor notes. But figures suggest these too could be gone from circulation in half a decade if the development towards a cashless society continues,” The Local reports,” continuing that “cash transactions today represent no more than two percent of the value of all payments made in Sweden, [and that estimate] will drop to below 0.5 percent within the next five years. Some welcome the trend - credit card providers, for instances - others have reservations. “It is happening at a furious rate. And it's important to many older people to be able to use cash. I mean, today it is legal tender and you have to be able to use it until parliament decides otherwise,” Christina Tallberg, chairwoman of Swedish pensioners' organization PRO, told Swedish Radio on Friday. Well, if you go kronor-less, that question ceases to make sense. The "problem" simply goes away. “Sometimes you have to learn new things. It's a little awkward for a transitional period, but I think it's going to be so simple that you pretty soon realize that this is a lot easier and better than having cash,” said working environment ombudsman Krister Colde of the Commercial Employees' Union (Handels).